This document provides a couple ways to edit a Scripture translation after it has been aligned, keeping the master copy on DCS up to date. This follows the general procedure outlined in https://forum.ccbt.bible/t/protected-branch-workflow/76 but provides a specific workflow for editing the text in translationCore. Go to the master repository for the translation, for English that would be either ULT or the UST. Select ZIP and save the file somewhere on your computer. 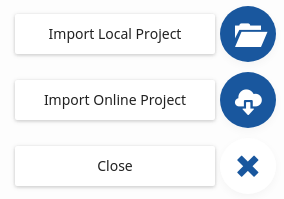 Find and select the USFM file from your downloaded bundle that you want to edit. Make your edits in tC as needed. Fix the broken alignments caused by your edits. Save the file somewhere on your computer. Open up your web browser and navigate back to the master repository (for English that would be either ULT or the UST). 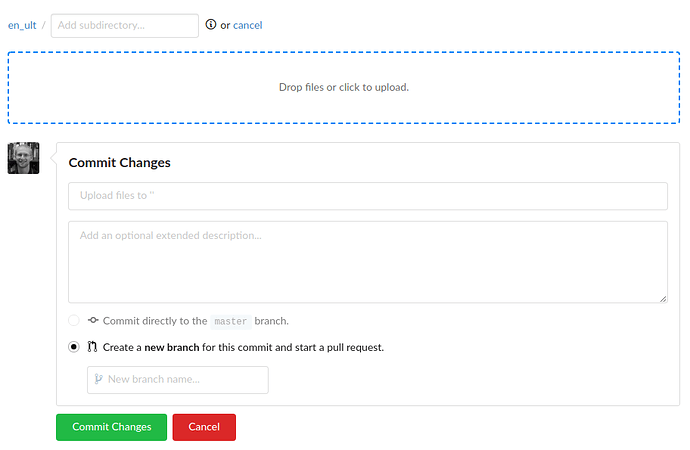 Now, follow the steps in https://forum.ccbt.bible/t/protected-branch-workflow/76 beginning at “Create a Pull Request”. Copy the HTTPS or SSH URL and clone the repository to your computer. 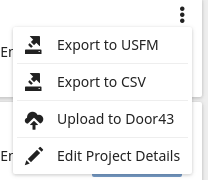 Find and select the USFM file from your local copy of the repository that you want to edit. Overwrite the file in your local copy of the repository. Commit your changes and push them to the DCS server.